Turkey’s primary news channels all ignored the first election rally of Muharrem Ince, the presidential candidate for the main opposition Republican People’s Party (CHP) last week. 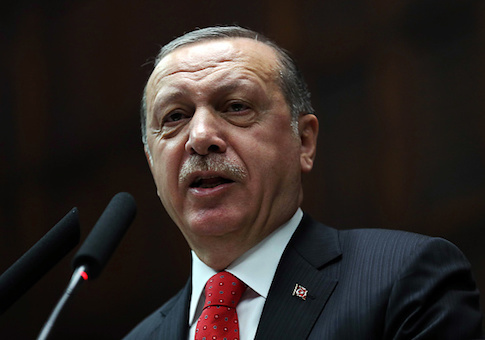 NTV, Habertürk, and CNN Türk have all drifted toward the government and have given the bulk of their coverage to Turkish President Recep Tayyip Erdogan’s Justice and Development Party (AKP), the Stockholm Center for Freedom reported. Ince and others in Turkey have decried how these outlets promote AKP by not giving much airtime to others, and the decision not to broadcast Ince’s rally caused a stir. News outlet Ahval reported that CNN Türk, the largest private media organization in the country, came under the control of strongly pro-government owners last month, leading to personnel changes. Ince criticized public broadcaster Turkish Radio and Television Corporation (TRT) for ignoring the rally as well. "We had a rally in Yalova. I have not seen such a thing in Yalova in the last 40 years. But TRT didn’t broadcast it. This is my final warning. I will not repeat it. TRT is not your father’s farm. TRT belongs to 80 million people," Ince said during a rally in Balıkesir Saturday. Ince said TRT should not use tax money from his party’s supporters if they will not offer fair coverage. "If you keep doing this, then don’t take the taxes for TRT from the electric bills of CHP supporters," Ince said. "If our rallies today are not broadcast, I’m telling you that I will go to TRT with 130 members of parliament next week," he added. "Don’t run away." Online, some accused the networks of censoring Ince. "You hid the presidential candidate of the second largest party in Parliament from the nation," one Twitter user said. "Don’t say you heard it from me, but Muharrem İnce held a rally today. Let me inform you, dear news channels," another person said. During the last such meeting broadcast by the top TV news channels, the [Kurdish Peoples’ Democratic Party] HDP’s then-Co-chairperson Selahattin Demirtaş said they would not allow then-Prime Minister Erdoğan to become president. Demirtaş has been in prison since Nov. 4, 2016. The report also revealed that as of March 28, no HDP members had appeared as guests on CNN Türk for 650 days, NTV for 883 days and Habertürk for 751 days. The HDP was only allotted three hours on state-run TRT during the April 1-June 7, 2015 election campaign period, while Erdoğan’s ruling AKP appeared for 188 hours, the main opposition CHP for 14 hours and the Nationalist Movement Party (MHP) 7.5 hours. In the same period private TV channels A Haber, ATV, Kanal 24, Beyaz TV, Ülke TV, TGRT, Kanal 7 and Kanal A covered the HDP for a total of 492 minutes, but 415 of them were taken up by anti-HDP propaganda. This entry was posted in Issues and tagged Journalists, Recep Tayyip Erdogan, Turkey. Bookmark the permalink.